If you wondered where did the promised dual-core Snapdragon chipsets go this year, we actually found one right here at the MWC Expo, in the new HP TouchPad - the first tablet released with HP webOS 3.0. Powered by a dual-core 1.2GHz Snapdragon CPU, the TouchPad is a fresh take on the tablet paradigm, be it only for the alternative operating system in the sea of Android tablets. Designwise the slate looks rather slick, although black glossy plastic all around is becoming a cliche. The 9.7" capacitive multitouch screen with 768x1024 pixels might not be with the highest resolution out there, but the colors are vivid, and the screen is bright enough. 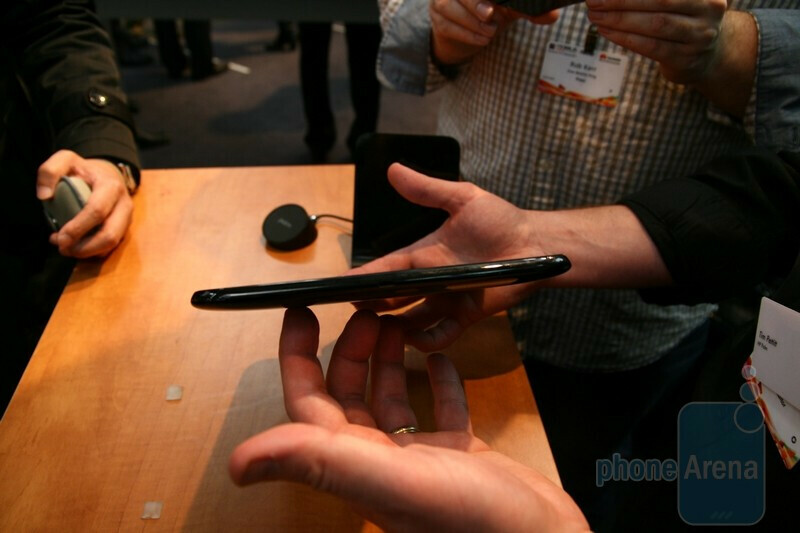 It is not as thin and light as is the Samsung Galaxy Tab 10.1; feels more like the Motorola XOOM in that department, with the 0.54" (13.9 mm) thickness and 26.1 oz (740 g) of weight. 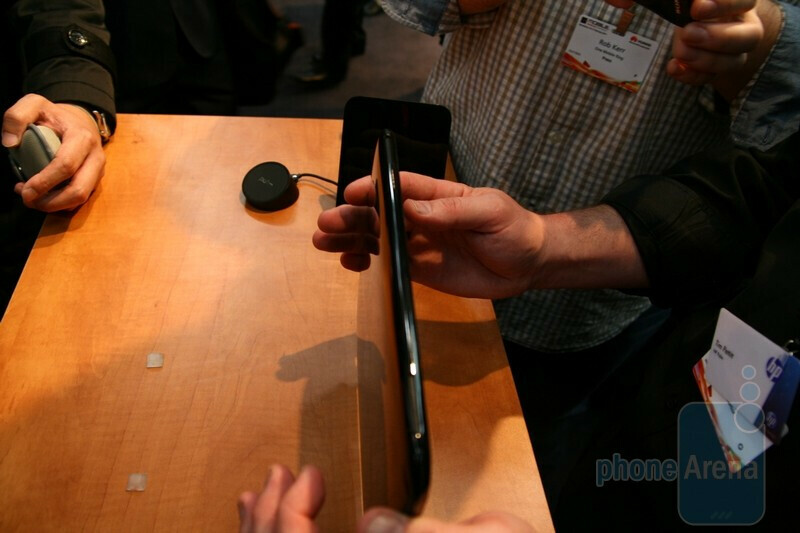 Actually it is slightly thicker than an iPad, and weighs as much. HP is strictly business, so no rear camera option in the TouchPad, just a 1.3MP front-facing cam. Add HDMI or any sort of video out to the list of things missing. There will be versions with 3G and GPS also, and your choice of 16GB or 32GB of internal memory. The Touchstone remote charging thingy is a dock in the case of the TouchPad, and a pretty nice at that. Word is you can use this one for streaming multimedia to a TV, and use the TouchPad as a remote, but we didn't get to demo that. There is Beats audio integrated in the TouchPad, another cool differentiating feature. It's not the hardware that is the main selling point of the HP TouchPad, though. We were taken away by how responsive webOS is in its tablet version (more about the new version here). It might be due to the powerful 1.2GHz dual-core chipset, but we were expecting the usual lags and stutters when a completely new form factor is introduced to a mobile OS, and they were nowhere to be seen. The activity cards, notifications, universal search and all the goodies that come with webOS have received an updated tablet look, and very slick one at that - you can see your notifications in the upper right corner, flip through them without opening the respective apps, or swipe apps far when they start getting in the way. WebOS is a brilliant mobile platform and we are glad that it's not going away, but has received an even more beautiful and functional reincarnation in the HP TouchPad. The new Touch-to-share function is rather seamless - just tap the HP Veer or the HP Pre 3 on the tablet, and you can take on the phone where you left off with the tablet, really neat idea. The only gripe we have with the HP TouchPad is that it's not coming anytime soon, and will ship in the sumer by the time when the market will be flooded with next-gen slate offerings. 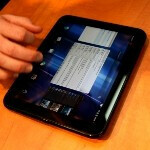 Nevertheless, as a first tablet effort coming out after HP acquired Palm, it is a really strong performer. this thing looks amazing. the webOS has always been one that would seem flawless on a tablet. cant wait to get some hands on with this baby. not sure what will take me away from Xoom but it looks good. The hardware somehow doesn't cut it! No rear camera, no USB, with only a 1.3MP front camera competing with all the hardware features of the Xoom, not to mention Samsung and LG offerings. No HDMI out? A tablet that doesn't connect to my HDTV won't be considered. I was excited about Touchpad, especially webOS but I need an HDMI out. Now the iPad2 has HDMI out along with front and back cameras. I have a macbook and should have known HP would find a way to cripple their Tablet. 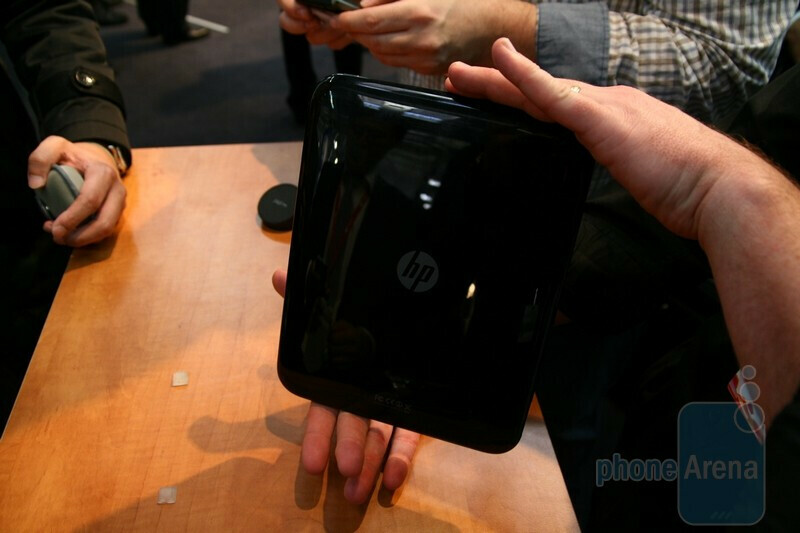 HP Touchpad connects to TV wirelessly using its cordles touchstone. Fantastic. Looks like Sprint will be the wireless carrier, too.